I was recently selected an an ambassador for the Dolphin Research Institute which raises awareness about the importance of coastal conservation. I went on a really cool boat trip with them this week and saw some Australasian gannets. These large seabirds grow up to 95 cm long and have a wingspan of 1.6 metres. Like other gannets, they have an amazing hunting technique, flying about 10 metres above the water and then fold their wings in and dive into the water to catch fish or squid. Australasian gannets have a special bill with serrated edges that helps them to grip their slippery prey in the water. They breed in huge colonies on offshore islands. They lay their eggs on the ground and they don’t reach breeding age until they are about 6-7 years old. Australasian gannets are found off the southern coast of Australia, Tasmania and New Zealand. They are quite common throughout most of their range. 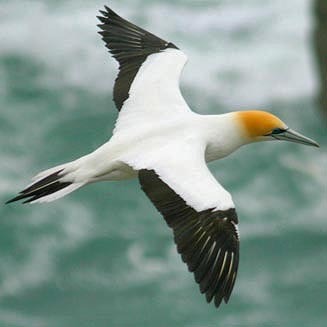 Are there any other interesting facts that you would like to share about Australasian gannets? Really nice. Pleasead by going through your article. Intresting and noteworthy. Kindly put articles on Indian Gharial ( Gavialidae ). They too are intresting due to their special look of nose !